This sea glass jewelry is a barrette I fabricated from sterling silver. 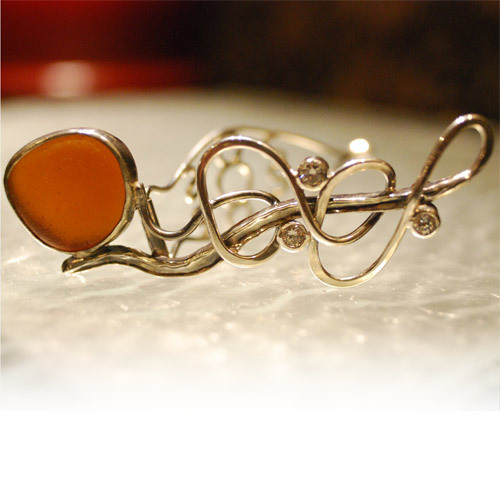 A sea glass stone from Northern California coast is set in a backless sterling silver bezel. It is accented with three cubic zirconias. I hammered and forged the sterling silver to make the design. Each piece was made separately and then fused together. This hair catch on the back side of this barrette can be removed, and the item worn as a pendant. A loop for a chain or cord has been integrated into it.